Heat oven to 450°F. Remove pie crusts from pouches; place crusts flat on work surface. Sprinkle each crust evenly with Parmesan cheese. 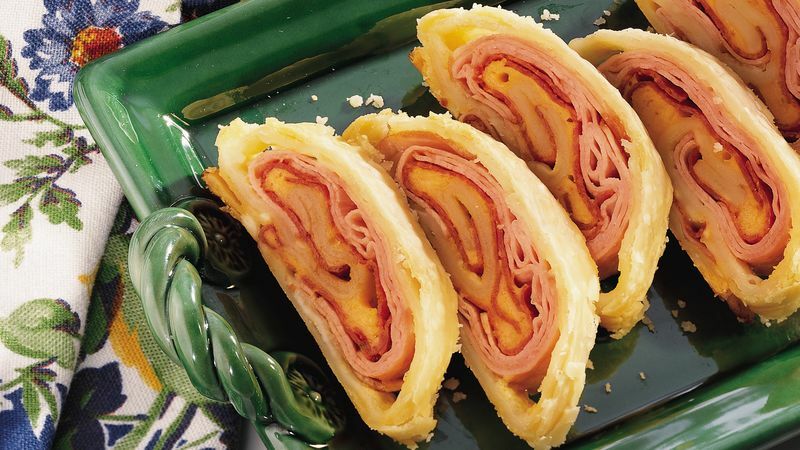 Top each crust with ham, pepperoni and Cheddar cheese to within 1 inch of edge. Loosely roll up each crust; place rolls, seam side down, on ungreased cookie sheet. Fold ends under. Bake 12 to 17 minutes or until golden brown. Cool 5 minutes. Cut each roll into 16 slices. Serve warm. Tasty deli slices are an easy way to feed a number of guests.